Dozens of people have been killed in a series of bomb explosions in India's north-eastern state of Assam. 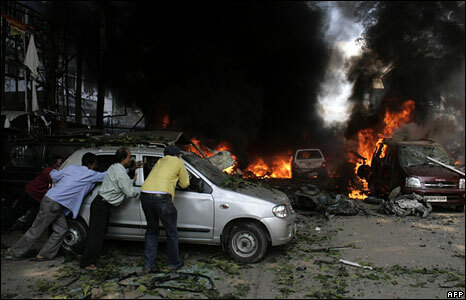 More than 150 others were injured, mostly in the main city of Guwahati. Eighteen bombs went off within an hour. 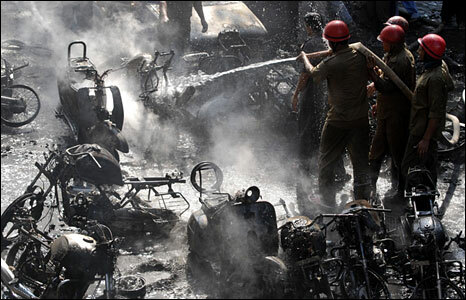 Ten of the explosions happened in busy areas in Guwahati, with others in major towns. 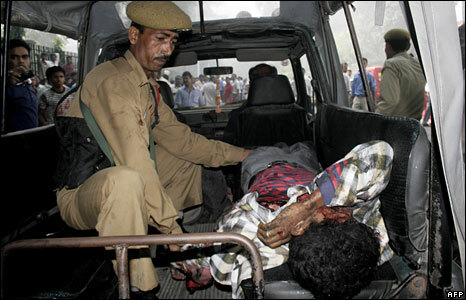 Angry crowds attacked the police with stones after the blasts in Guwahati. Dozens of people were hurt in the clashes, which took place as the inured were being taken to hospitals. Police suspect the separatist United Liberation Front of Assam (Ulfa). It denies any role in the bombings. 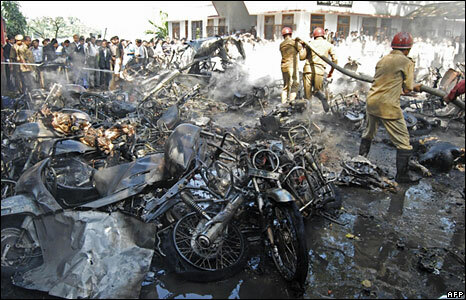 India has been rocked by a number of explosions recently, many of them blamed on local Islamist groups. 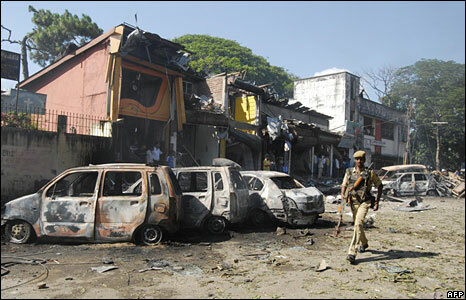 Blasts in Assam have usually been blamed on separatists.